I’m embarrassed to tell you how old I was the first time I didn’t cry when I saw the results of a haircut. Let’s just say I wasn’t a teenager anymore. No matter how emphatically I said “just a trim,” yards of curly hair lay scattered around my feet at the end. 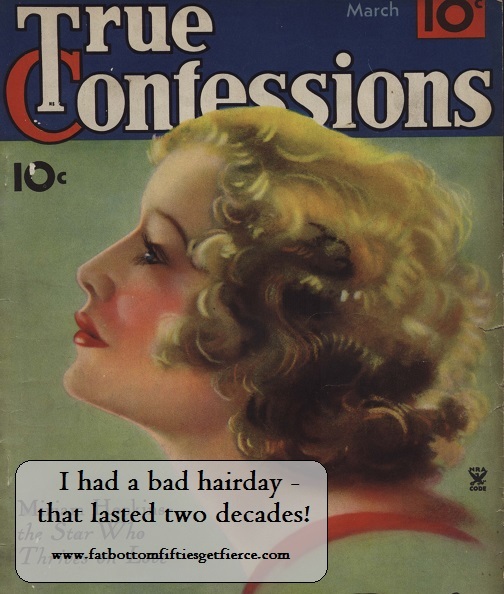 I had been fighting with my hair since the 1960s when that pink tape – touted to hold hair smooth – resulted in bangs that flipped up in a way that only a solid drenching would undo. Something there wasn’t time to do before school. In the 70s I tried hard to make rambunctious hair look very Peggy Lipton. My father told me I looked like Barbara Streisand. Great. Instead of looking like one of the Mod Squad I looked like I walked off the set of Funny Girl. It only took another decade or so for me to stop rolling my eyes when told “people pay big money for perms to make their hair look like yours.” Once the eye-rolling stopped, the embracing finally began. I stopped ripping out magazine pictures of sleek hairstyles expecting my hairstylist to be more magician than beautician. I learned to say a sincere “thank you” when people complimented my hair. One of the best parts of aging is how comfortable and accepting we get with who we are. How it occurs less and less to us to compare ourselves to others and to strive to be – or look like – something we’re not.